The residences feature two single-level ranch floor plans: the Ashton, with 2,000 square feet of living space; and the Berkshire with 2,200 square feet. The Carlyle, a two-story home with a first floor master bedroom suite and 2,450 square feet of living space, is also being offered. All the homes feature 2-car garages, 2, 3 or 4 bedrooms, 2-plus baths, dens, lofts and full basements. Over two-thirds of the homes will either have a walkout, or lookout, basement that was carefully planned to fit the rolling terrain at Woodglen. 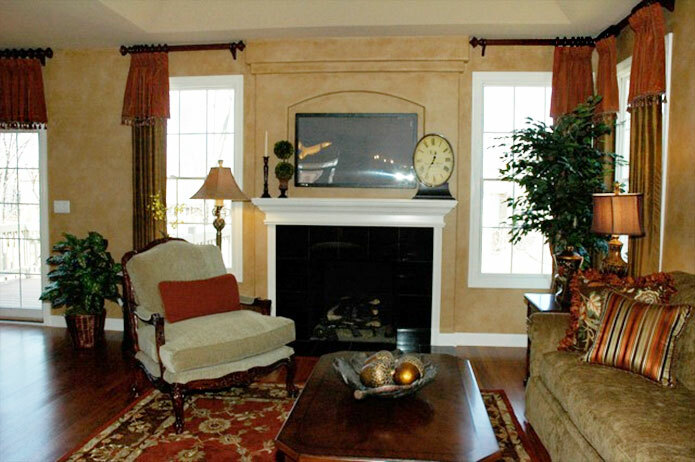 “Buyers still have the chance to make their home in the final phase of Ashbury Woods as well. We realize there is a demand for luxury townhomes in the great Village of Lemont and between these two convenient locations, there is something for everyone,” said Scott Stevens, Vice President of DONVEN Homes. Ashbury Woods features five fully-decorated townhome models, both ranch and two-story designs, several with first floor master bedroom suites, ranging in size from 1,800 to 2,450 square feet. The townhomes feature 2-car garages, 2, 3 or 4 bedrooms, 2-plus baths, dens, lofts, full basements and all the upscale amenities. â€œOur homes offer the refinement and maintenance-free ease of all brick exteriors and aluminum clad wood windows, as well as enhanced privacy and fire protection ensured by using superior quality ‘shaft wall’ party walls,” added Stevens. DONVEN’s Woodglen and Ashbury Woods communities offer people a home to last a lifetime, in a maintenance-free environment, with spacious and bright single-family floor plans and upscale amenities. These communities are in prime, wooded locations within the well-established historic and charming Village of Lemont. “We encourage home buyers to come by our sales center located at Ashbury Woods and take advantage of this limited time, pre-construction pricing… from $389,900 at Ashbury Woods and $454,900 at Woodglen. These outstanding communities offer the perfect combination of luxury, maintenance-free homes in a town and location that has it all,” said Stevens. To learn more about the new Woodglen community and the final phase of Ashbury Woods, visit the Ashbury Woods Sales Center located on 127th Street, 1/2 mile east of Lemont Road (State Street) or 1 mile west of Archer Avenue (Route 171). Open from 10:00 A.M. to 5:30 P.M. For more information, call (630) 243-1110.